A brighter path for managers? 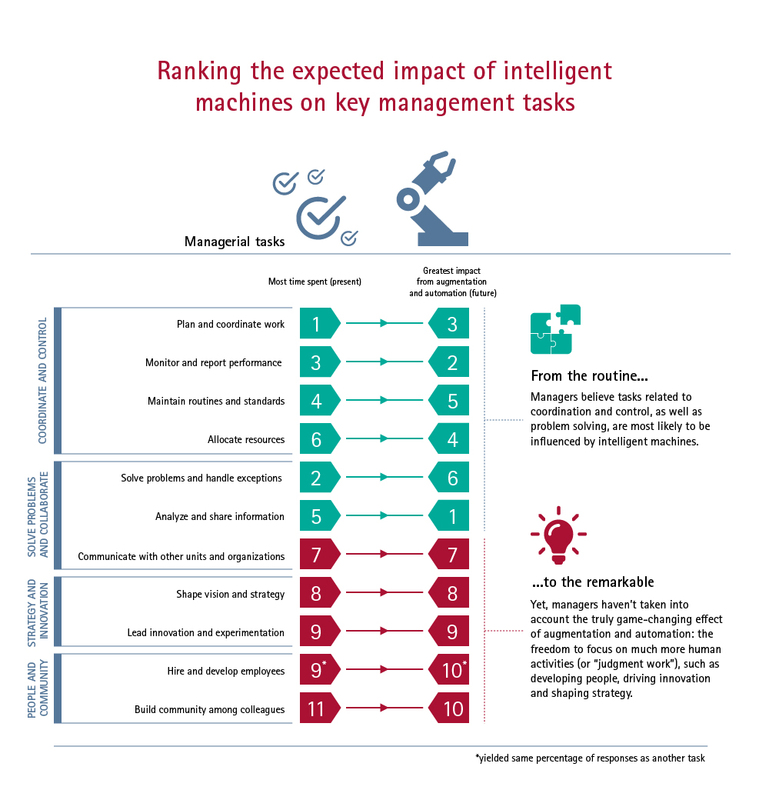 Managers recognize that intelligent machines—information systems that sense, comprehend, act and learn—can have a tremendous impact on many of their most time-consuming tasks. In fact, they rank planning, problem solving and monitoring performance among the responsibilities that will be most affected by cognitive computing in the future. What managers haven’t fully accounted for, though, is the effect that these machines will ultimately have on less routine, more strategic tasks. Learn more about the expected impact of cognitive computing in management.